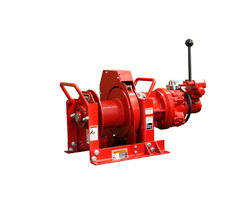 Air Winches - Thern Heavy Duty Air Winches | Thern, Inc. When you need to lift, lower or position a heavy load, Thern provides dependable air winches needed to get the job done efficiently. From construction to maritime to manufacturing and more, our air winches are built tough to meet the demands of the job in any environment and a wide variety of applications. Thern’s new C Series of air winches have up to 20,000 lb. capacity and feature innovations that make them lighter, faster, safer and more versatile. The new C Series air winch has an E-stop as standard, a neutral lock control valve, overload protection. Thern’s Mini Series of air winches have all the power and dependability of our Big Red series air winches in a smaller package. The Mini Series is perfect for sites where lifting and pulling is required and air power is readily available. 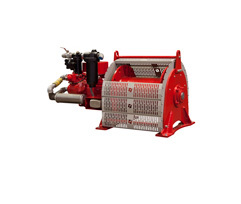 At Thern we understand that every job is different, so we allow you to build the Thern Big Red Series air winches to suit your specific needs using our extensive line of accessories and options. The better suited the winch, the better completed the task.